These albums make up the present archives of previously unreleased Latte e Miele music. 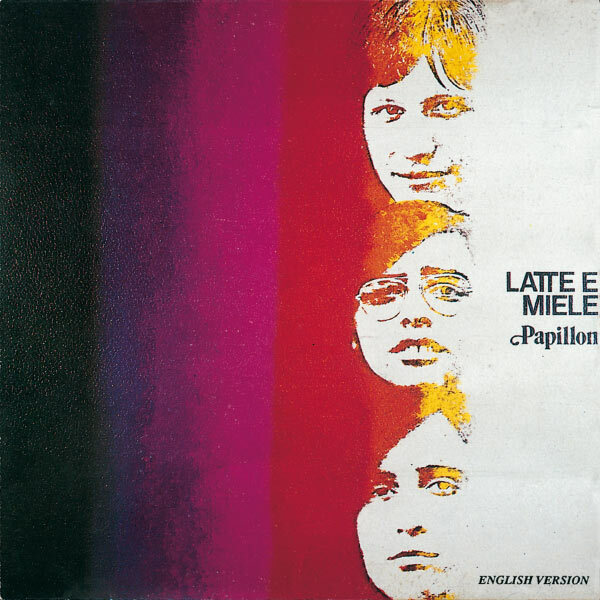 Latte e Miele are best described as an Italian ELP and have a very big sound for a trio. They released three albums in their career with at least their debut Passio Secundum Mattheum heralded as classic status in the progressive underground. The first CD in question here is an unreleased English vocal version of their second album Papillon. This acts as a pretty good example of their style – a rich symphonic rock with tons of keyboards in long suite format with influences of ELP, the Beatles, the Nice, Le Orme, and even more grandiose reminders like Canarios on Ciclos or choruses like Queen. Latte e Miele were a veritable mosaic of styles; they rush from classical to opera to folk with abandon, and in my opinion, it causes their music to be a mite patchy at times. Nevertheless, there are some wonderful parts – especially the occasional guitar breaks. In comparison to its Italian counterpart, the English version is what you'd expect – vocally accented and differently mixed. It's certainly worth a listen. 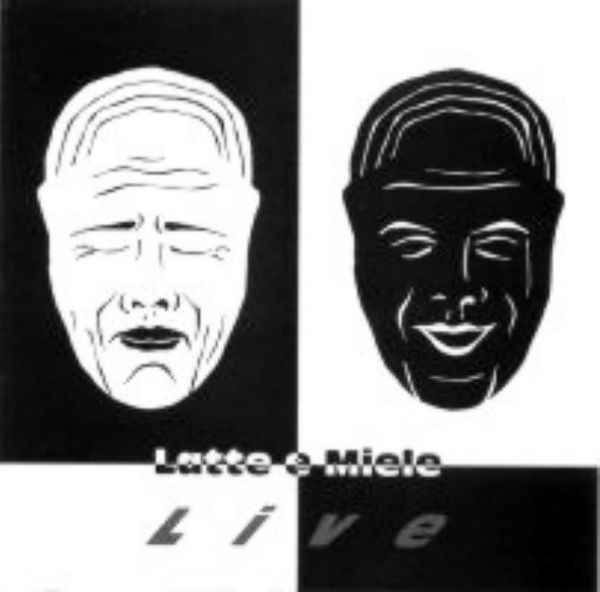 Latte e Miele Live is a bootleg quality live performance of three tracks (plus Bach intro) including an early version of "Pavane" that would find its way on Aquile e Scoiattoli, a suite from Passeo Secundum Mattheum and a version of "Patetica." The performance is excellent, especially for a trio and they could obviously play this stuff live and pull it off effectively. As a marginal document, I can only recommend it to fans of Latte e Miele, although better quality shows would be welcome. The three years after their last album Aquile e Scoiattoli were a complete change in direction for the trio. Progressive rock seemed to be losing its footing around the world, and Latte e Miele (abbreviated to LattE Miele later on) began writing singles with titles like "Rock N Roll Star." 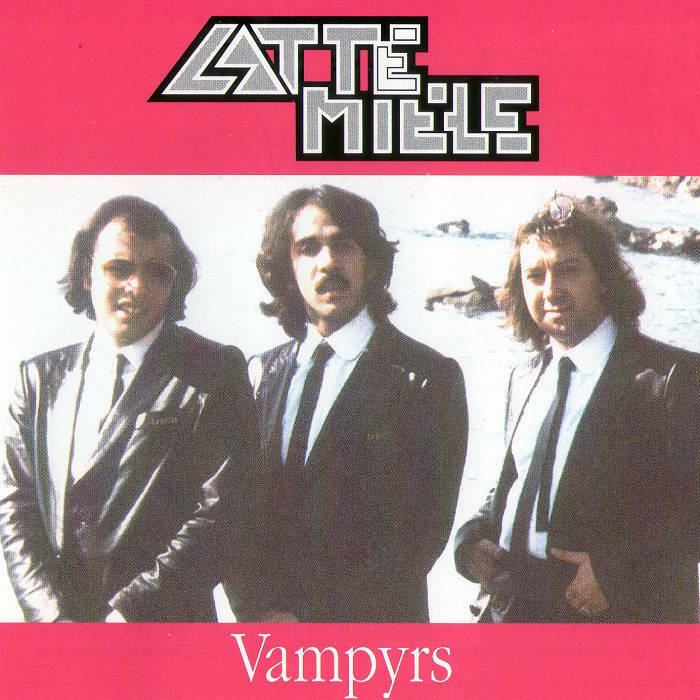 In fact, Vampyrs, a collection of music from studio recordings in 1979 sounds little like the Latte e Miele of the early 70s. What we have here are 15 songs that fall between 2:57 and 4:17 in length. Except for the opener, the rest of the tracks are pop rock and rather lame at that. Remember the early 80s? Quarterflash? Loverboy? J Geils Band? America? The Cars? Air Supply? Poco? Toto? Don't see too many of those names in Exposé do ya? I think there's a good reason for it.